Luxury life or just normal? ​Today, in the early morning I left my house and saw, that the light was still on. So, I stood in front of the house and was thinking, if I would like to go back and switch off the lights. After some seconds, I realize that my wireless network is still available and so I use my mobile to control the light – Yes, there is an Windows 10 universal app for Philips Hue running on Windows Phone and Windows Desktop. Not an original, but it is nice too. I am starting to like the Hue system more and more. I switch on the light when I am still in the bed, so I can go safely into the bath room. Normally I ask Alexa to witch off the lights when I am leaving, but I can still do it in front of the house with the app or over the internet whereever I am on the Philips Hue website. I already know that there a nice workflows in IFTT. Maybe in Microsoft Flow there are some rules for hue too. I will check. Kommentare deaktiviert für Luxury life or just normal? 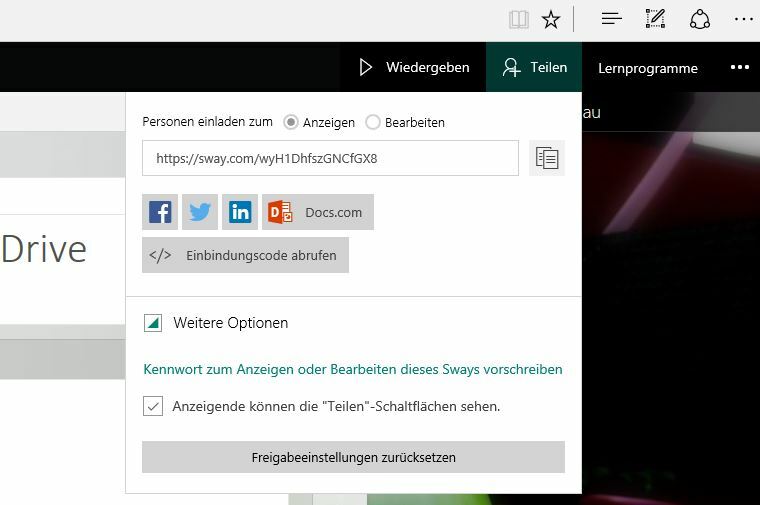 I only wanted to know how many free space my mailbox has, but I clicked on Docs.com and was in new world, because many things on this site has to be done with Sway. 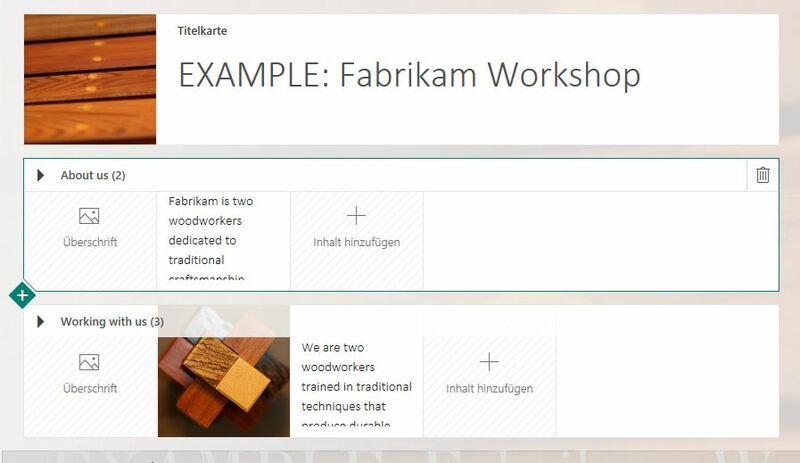 You can add cards if you want to add content and organize it in your Sway. While you are working with the elements and properties of the cards, your Sway grews up and starts to live. I do not know any real reason, why I should have Alexa in my house. At the moment I have two echo dots, because she did not understand me, when I was in the kitchen. The first day I tested every question that comes in my mind. Sometimes her answer were disappointing, sometimes a surprise and often correct. A few days later I found out that she is very expensive. Not the dots itself, but the things around her. Because answering questions is not a good reason for Alexa, I was searching for an additional job. I bought Phillips Hue… And now she switch on and off some lights in the house. I really fear, that I will replace each light bulb. But first I need a good idea to prevent me from clicking the traditional switch. A sheet of paper with tesa looks not so nice.